Could national guideline replace abortion law reform? AUSTRALIA’s outdated and inconsistent abortion laws should be replaced with a national, evidence-based guideline, says a leading expert, as MPs in Queensland continue to push for the decriminalisation of abortion despite the rejection of a new Bill. Associate Professor Suzanne Belton from the Menzies School of Health Research and chairperson of Family Planning NT told MJA InSight that laws in both Queensland and NSW, where abortion is still a criminal offence, are not reflective of current society or current medical practice. “One of the silly things about putting abortion into a statute is that it is actually poor medical practice. There is no need for a law to perform a good quality, medical termination of a pregnancy,” Professor Belton said. Professor Belton was commenting on an Ethics and Law article published today in the MJA, which discussed recent developments regarding abortion law in NSW and Queensland. While the decriminalisation of abortion has already occurred in the ACT, Victoria and Tasmania, abortion remains a criminal offence in NSW and Queensland unless it is deemed lawful. The doctor who provides the termination, those who assist and the woman herself may be all prosecuted under this current legislation. The authors said that the question of when an abortion was unlawful remains unclear. In NSW, a doctor may take into account the effects of economic or social stress that a woman is experiencing at the time. In Queensland, abortion has been deemed lawful when it is carried out to prevent serious danger to a woman’s physical and mental health. However, Queensland rulings have not found that economic and social issues could be considered when determining the legality of abortion. “In NSW and Queensland, Bills have been developed that, if successful, will lead to the decriminalisation of abortion in both states … In Queensland, Independent MP Rob Pyne introduced the Abortion Law Reform (Woman’s Right to Choose) Amendment Bill to parliament in May 2016 … [which] seeks to repeal all criminal offences relating to abortion. “It is to be hoped that both states will see abortion decriminalised in the near future and placed in the health regulations, so that practitioners have clear guidance for abortion care,” the MJA authors wrote. Since the MJA article was written, the first reading of the Queensland Bill has failed to receive support from a state parliamentary committee. Speaking to MJA InSight, Mr Pyne said that “the Bill hasn’t been rejected, it still comes back for a second reading”. “I think we can safely assume that members of the parliamentary committee won’t be voting for it because of their report, but certainly, if it gets enough votes for a second reading it can become law. “I know a number of MPs who will be supporting A Woman’s Right to Choose. This is far from being resolved as an issue in Queensland,” Mr Pyne said. Co-author of the MJA article Professor Heather Douglas, from the TC Beirne School of Law at the University of Queensland, told MJA InSight that the first reading was unsuccessful due to problems with the detail of the Bill. “It just took the criminalisation out of the criminal code – it didn’t put in place suggestions around gestational limits, conscientious objection or safe access zones. “The second Bill being put forward by MP Rob Pyne aims to set up these measures,” Professor Douglas said. Professor Belton said that despite the first reading of the Bill being unsuccessful, “you can’t give up, you’ve got to keep on trying – that’s the nature of change”. Professor Douglas agreed that, in theory, a national quality guideline would be “terrific”. She said that criminal law was a “sharp tool” that doctors do not want to be on the end of and “that’s why we need to match up laws with a guideline”. 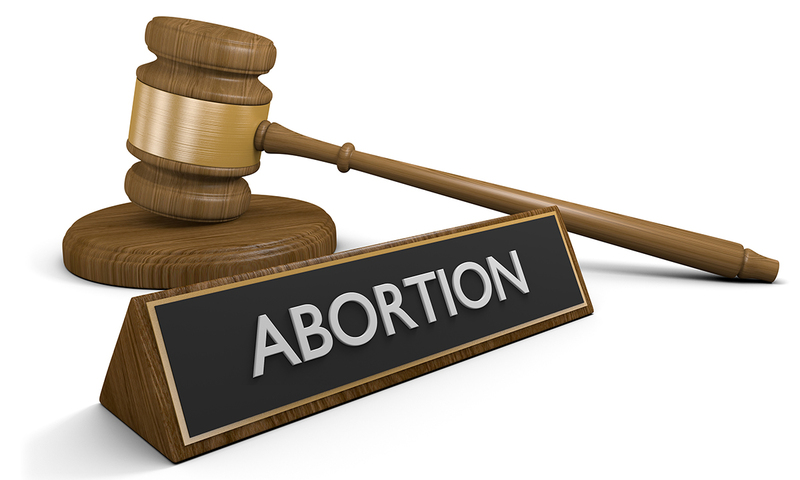 Professor Belton said that in reality, there were very few consequences from abortion laws on medical practitioners, even in Queensland and NSW, as the judiciary was “very liberal”. She said that “what we do know is that if you try and restrict women’s access to abortion, they will still do it regardless”. “Look at what has been happening in Poland. What we would see there is that wealthier women will leave the country, and younger women will turn to the internet [for abortion]. “This has always been the way. I’ve never understood restricting access to abortion when we know that women will just do it in riskier ways,” Professor Belton said. The reason why we need it enshrined in law is to protect the rights of the unborn. Some States allow abortion up until birth which is completely barbaric in this day & age given what we know about foetal development. It is definitely not “One of the silly things about putting abortion into a statute”, to quote Professor Belton , if we endeavor to protect the late or near-term unborn child from abortion. The abortion industry needs regulation like any other commercial for-profit operation, particularly where terminating an unborn child is involved. No medical procedure should be above the law, or exempt from legal scrutiny. Termination of pregnancy has long-term effects on the mothers mental & physical health, and should be subject to legal oversight. It is not just a simple medical procedure. I agree with you Dr Pearcy because the issue here ,whether we like it or not,involves 2 human lives. Pro-abortionists try the darndest to dehumanise the unborn child but the reality is ,of course,there never has been or will ever be another human with that child’s unique DNA. If only the unborn could talk but then they can’t do that until there been outside the womb for at least a year can they? Could there be a “Baby’s right to choose”?